As the most powerful man in the world, you seek a solution to bias on the Internet. We the People seek freedom from censorship. An effective solution to both goals, short of breaking up the tech giants, while at the same time protecting the free market we love, is simple and within reach. I have not read anyone propose it, but the IT experts I have on my team agree it is the solution. Google controls 90% of all internet searches; they decide what you get to see. Google’s monopoly has been compared to that of Standard Oil and AT&T, both of which were broken up by Anti-Trust Legislation. 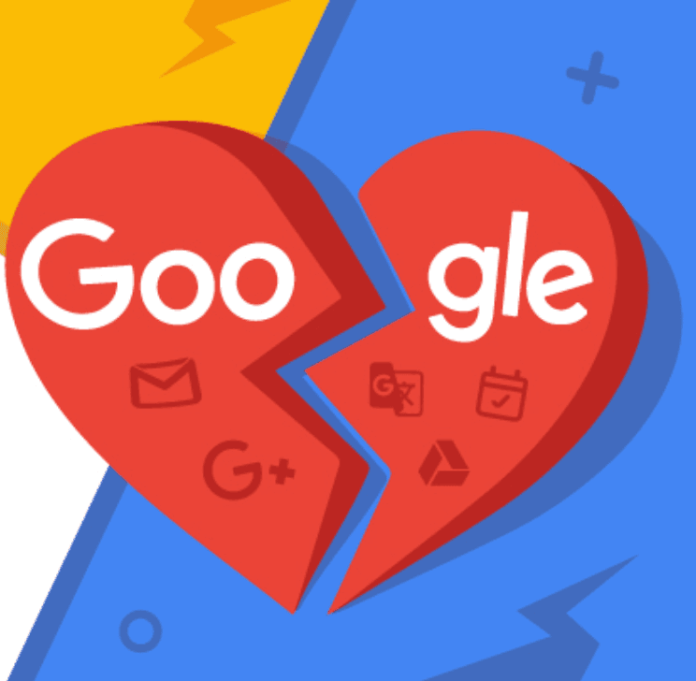 Based on this past experience, Google critics have proposed things like separating Google search engine from its parent company Alphabet, or separating YouTube from Google, but these solutions miss the point. Tech giants are not like old banks, which were separated into retail and investment banks by the Glass-Steagall Banking Act of 1933. Online interconnectivity means these companies can collude and manipulate data without leaving a paper trail, even if they were broken up. Facebook, YouTube, Spotify, Apple iTunes and Twitter (supposedly non-related entities) were able to coordinate a take down of Alex Jones‘ social media platforms within roughly 24 hours. They are not merely monopolies, but a cartel of monopolies. Alphabet Inc. is the biggest lobbyist in history. You can be sure they will spend considerable resources to make sure the broken entities retain power and maintain a stranglehold over the Internet. Enshrine DATA RIGHTS – give PEOPLE back CONTROL over their personal data. Give people FREEDOM to migrate out of any social media, just like you can change phone companies or utility providers. Protect COMMUNICATION as a basic need and basic human right. End CENSORSHIP by Big Techs. They and their surrogates are not authorized to determine what is fake news or trusted news. Stop Big Tech from MEDDLING with National ELECTIONS. The challenge is you cannot force Big Tech companies to be unbiased nor to clean their content. They (and their algorithms) are ideologically and politically-driven. They want the next Hillary Clinton to win. Their ideal is to promote globalist, anti-American values. What you, Mr. President, can do immediately is order them to comply with standards. The AC electric power grid is standardized; this allows for competition among electricity providers. The landline telephone network is standardized, so we can have large competition. SMS is standardized. The Internet is standardized with protocols such as HTML. (Protocols are the communication languages of the servers and clients.) Big Tech, by contrast, refuses to operate by standard protocols. But the solution is simple. No new standards need to be written. They have already been written by the IETF [The Internet Engineering Task Force], the committee that standardizes internet protocols. Tech Giants ignore these standards to create their monopolies, and by extension their censorship. This, rather than their mere size, is the crux of the problem! Let’s compare it to the telephone. If all telephone companies had not agreed to support one standard, we may need to get 10 lines into our home just to access different kinds of phones. The standard for mobile protocol right now is 4G, with 5G on its way. All phones with this protocol can connect, regardless of whether they operate on iOS or Android, and phone calls can even be passed from tower to tower owned by different companies. Twitter, Facebook and Google do not follow these protocols, even though most of them did when they first started. Google developed a social media protocol in 2007 called “open social” which was supposed to be “inter-operable” with all other social networks. In other words, had Tech Giants all followed the standard, you could migrate from one platform to another with all your data protected as your own intellectual property. Why don’t they follow standard protocols? The answer is in one word: monopoly. Whatsapp has been able to create a monopoly of 1 billion users by ignoring xmpp protocol. Xmpp is a communication protocol for message-oriented middleware (MOM) to standardize short-text communication (like Twitter). The IETF made xmpp the standard in 2004, but the monopolies do not have to follow it. Whatsapp started with xmpp, then once they had enough users, they locked every user into their environment. 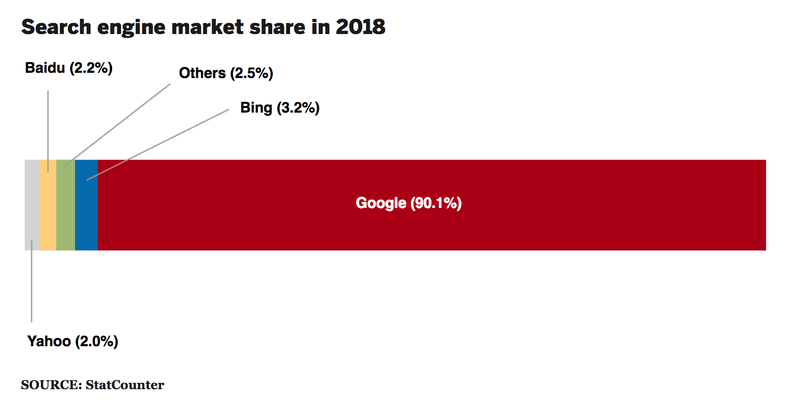 When we users wish to turn to competitors, we end up with a myriad of chat clients or text messaging apps like Messenger, Telegram, Line, Wechat and Signal, none of which communicate with each other. It is a mess. Your son Don Jr. publicly called for the building of “conservative social media“. Any number of developers, including my IT Team, could do it. Many of us are working on it. But without industry compliance to standard protocols, who will be willing to migrate from one social media company to another, and lose all their friends, followers, posts, texts, photos and stories at switch over? Not many people. The Tech Giants know this. My IT team will agree to build our clean social media on an agreed protocol like xmpp, so users are NEVER LOCKED into one company, but remain FREE to choose the best company, whoever that may be in the future. When other companies are mandated to comply with the same standard, user choice and free market will reign again. Since communication is a human need and a human right, users should be FREE to migrate to any other system, without the threat of being silenced or “de-platformed“. The President should open up social media, then the best platforms will compete and win, not merely the ones with early-mover advantage or monopolistic power. Right now the control of data by the powerful few is unacceptable. When Facebook shut down “Diamond and Silk” or YouTube de-platformed “Infowars”, those conservatives instantly lost millions of views, thousands of hours of their personal content or intellectual property, and invaluable accumulated social credit. This can all be prevented with the next step of my proposal: an “Internet Address Book” or your “Personal Data Vault”. All social media is built first on an “Address Book” of user personal data. This personal data is then used by companies such as Google and Facebook to advertise to you and monetize on your content. A neutral Internet Address Book would securely store all the properties of an entity (person or company), including first name, last name, birthday, social security, addresses, phone numbers, all electronic publications, likes, comments and mentions. We the People are concerned about the potential abuse of such a database by Big Brother. I believe the abuse is already here, and what I propose gives for the first a viable solution where there has been none offered before. The current reality is most Big Tech companies and central governments already have access to their citizens’ data, and with the spread of cameras and facial recognition, We the People have less and less control over how others use our information. A “personal data vault” will give every entity the right to withdraw sharing anything to any other person or company. Every entity will have the right to “profile synonyms” or anonyms called “avatars”; but in criminal cases, those avatars can be traced back to the true identity easily. State-verified entities and injured parties can apply for access to your personal data. Otherwise, you regain control over your privacy, including everything mentioned about you on social media. Victims of defamation and libel can have the right to access the true identity of any anonymous person who is defaming them. There should be no anonymity in cyber crime. Europe’s GDPR [General Data Protection Regulation] will require some sort of “Internet Address Book” in which every person has a unique identification. Such an Address Book will be a core part of the clean, trusted social media my IT Team is building. At some later stage, individual States may wish to dedicate national servers to store all personal data and social media posts in an encrypted vault. Security is key. The third step is to create the world’s first clean social media. I do not use the word “alternative” as none has existed before. I propose we can do it in the next year for only $1 million. Tech giants routinely raise hundreds of millions from angel investors to fund their ventures. I do not believe this is necessary. My IT Team believes in this cause to the degree that they are willing to volunteer their time to make this a reality. All we and any new social media platforms require to compete is a level playing field. Mr. President, if you listen to business and legal experts, they do not agree on how to break up Google and other Tech Giants. Some propose Anti-Trust lawsuits. Others propose that the government treats Big Tech companies as Publishers instead of neutral platforms; Publishers may be liable for defamation, violation of personal data, and influencing elections by smear campaigns and illegal campaign contributions. Either case will take years in court and be difficult to prove. My IT experts agree there is a softer and faster way to loosen the grip of tech tyrants on We the People. The first step is to enforce the IETF standards. Big Tech companies must comply with standard protocols. This will challenge their monopolistic control and dismantle some of them through increased competition. Specifically, order social media companies to use the same protocols. By doing so, Big Tech cannot LOCK developers or users into their environment. We will be free to have an interface to all social communications. As an adjunct, Mr. President, you can issue an Executive Order that their algorithm must be the same for everyone. Google’s search engine manipulation through biased algorithm has been documented by psychologist Robert Epstein and private investigator Michael Roberts. Mr. Roberts verified your allegations that Google elevates negative content. He coined the term “humiliation algorithm” to explain how Google has a financial incentive to humiliate you and not act against smear campaigns. Making algorithm equal for everyone could be called a “Tech Transparency” Order. The next step is to hand control over personal data back into the hands of users through an “Internet Address Book” or “Personal Data Vault”. Silicon Valley has long operated on the assumption that “personal privacy is a history”. This is untrue. My IT team can design a system that restores personal privacy to everyone except for criminals. The third step is to support a clean social media. I do not use the word “alternative”. My plan is to build the world’s first clean social media. Our features will be proprietary. Terrorists will have no place on such social media. With your support, this new concept will succeed! But we need you, Mr. President, because no other world leader will act till you take the lead and fight for our freedoms. The fourth step in ensuring that corruption does not creep into the new system is to introduce a digital currency which will not lose its value as a medium of exchange. Many experts see the need for this as paper currency is inherently flawed and unstable. My team has innovative and proprietary concepts in this area. Mr. President, all of us who love the Truth have witnessed the unprecedented decline in civility and rise of evil. You are not alone. I, too, have fought against the censorship and bias of Google, YouTube, Facebook and Twitter and have assembled a team of developers to create a better platform. We the People need your leadership. You are called to shake the Establishment and to drain the swamp. The dirtiest swamps are in Silicon Valley and Washington DC. dictatorship always starts by taking control of the medias and as we know the world is heading towards the worst ditatorship ever that of the Antichrist!Propaganda is their way to manipulate the people’s opinions. Great article Steve! 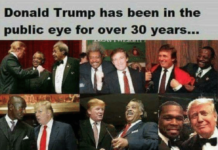 I hope President Trump sees this ASAP. He will do it. 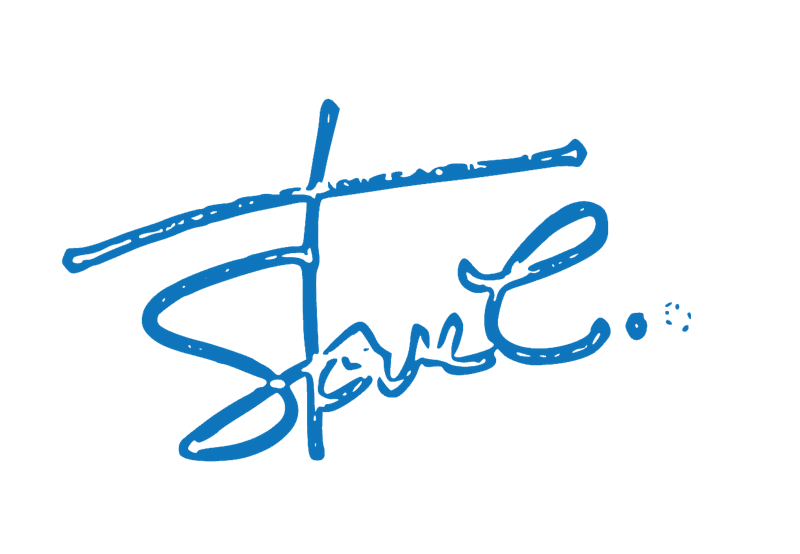 Answered Prayer Steve … We the People thank you. God’s Blessings to you and President Donald John Trump! Great article. 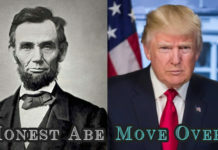 President Trump needs to see this. 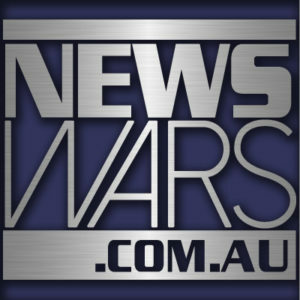 This is NewsWars, Christian reporting on World News by Independent Contributors. Liberty is on the rise. We are winning the cultural war and spiritual battle by: A) upholding our God-given Rights to Christ, Life, Liberty, Family, Private Property; and B) promoting God's Blueprint for Nations, Good Government, Equal Justice, Biblical Economics, Traditional Culture. Recommended Tools of Truth, books, videos at: Discover Bookshop. © NEWSWARS 2017. All Rights Reserved.